Forced marriage, which is not entered into only with the free and full consent of the intending spouses, is violation of internationally recognised human rights standards. In Turkey; there are many types of forced marriage. Protecting perceived cultural or religious ideals is the most significant factor leads to forced marriage. A forced marriage will be a marriage where all kinds of violence in the family will most likely be experienced. Some European countries made forced marriage into a criminal offence, but it is not defined as a criminal offence in Turkey. This study aims to point out the situation and the types of forced marriages in Turkey and to bring suggestions to struggle with forced marriages. Forced Marriage Unit Statistics (2017). Foreign and Commonwealth Office, 16 March 2018. Parrot, A., Cummings, N. (2008), Sexual Enslavement of Girls and Women. Worldwide, Westport, CT: Praeger, 1; 65. Poyraz Tacoğlu, T. (2011). The Reasons for Traditional Marriages in Turkey and the Effects of Custom on Marriages. 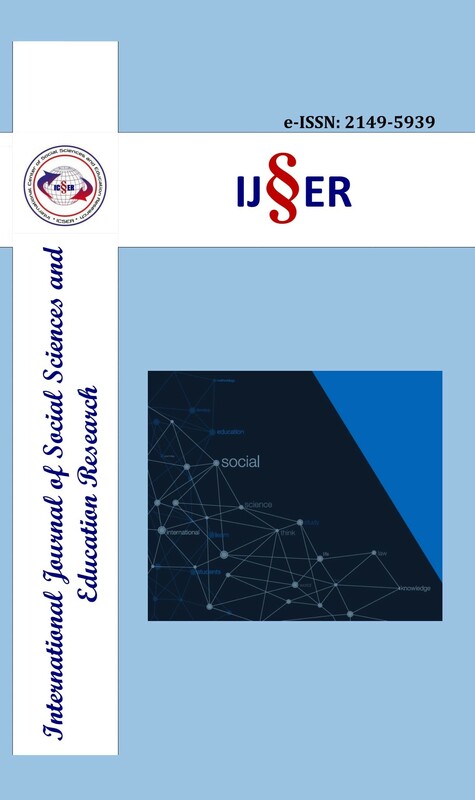 METU Institute of Social Sciences Journal of Social Sciences Research. ISSN: 1309-9302. Volume: 2 Issue: December 4, 2011: 114-143. Sezen, L. (2005). Marriage Types in Turkey. Atatürk University Turkish Inter-mediate Research Institute Journal, Issue: 27, Prof. Dr. Sinasi Tekin Spe-cial Issue, 2005: 185-195. Statistics of Ministry of Justice, 2017. http://www.adlisicil.adalet.gov.tr/istatistik_2017/ istatistik2017.pdf (Last accessed on 22.08.2018). TURKSTAT (March 2018). Marriage and Divorce Statistics, 2017, No: 27593, 02 March 2018. UNICEF (2018), Progress for Every Child in the SDG Era, March 2018. World Bank, Economic Impacts of Child Marrıage: (Conference Edition) June 2017, Global Synthesis Unicef, Ending Child Marriage, Progress and Pro-spects, 2014. Yasa, İ. (1962). Taygeldi Family. Ankara University Faculty of Political Scien-ce Journal, Ankara, (1962), Volume: 17, 2.